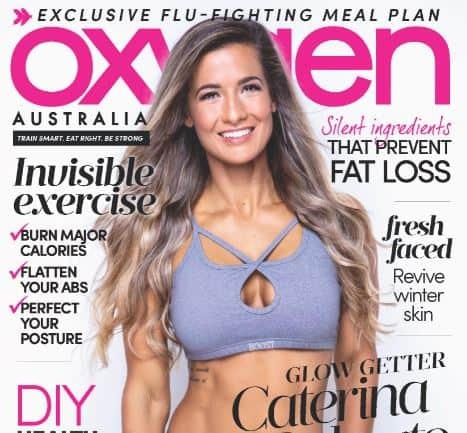 Fitness Expert for Australian Oxygen Magazine. Award Winning Trainer & Judge for Bikini & Fitness Model Competitions. 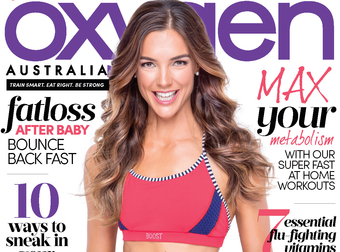 Lose weight, tone up and feel energetic! Living Beauty Fitness empowers me with nutrition knowledge and results based training programs. I love the transformation I have achieved mentally and physically. 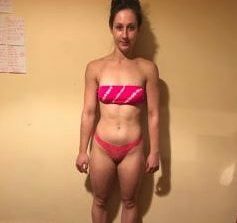 Sophie – Bikini Competition Success! Living Beauty looks after you 100%, with weekly check ins and support as easy as an email away. I was provided with not only training program, yummy nutrition, beauty contacts, but also how to prepare myself for the show day! And if I needed anything Amelia was always available. 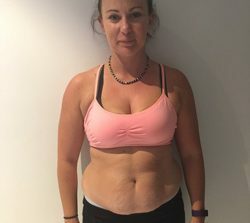 The goal for my 20 week Shape Up for Life Program was to feel alive again, to wake each morning without feeling, sluggish, lazy, and apathetic towards life and to overcome emotional binge eating. I was surprised at the considerable amount of wholesome food I ate on the Living Beauty program, which included good choice carbohydrates each day. 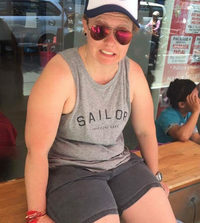 Chantal lost 9kg, 23cm off her waist, 10cm off her hips and 4cm off each thigh. 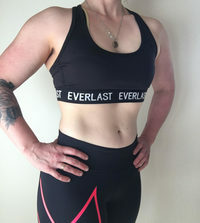 I love being part of Living Beauty Fitness. I feel supported by Amelia and the way she tailors my programs to me and what's happening in my life. 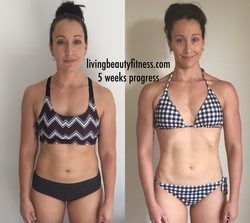 Living Beauty is all about lifestyle change, and my life has definitely changed! I am so excited to compete as a Pro Bikini Model Athlete. Achieving this with 2 Overall Bikini Titles in 2017 has been incredible. My results speak for themselves, I am so happy to have found Living Beauty. The all natural meal plan changed my life and I started seeing results as early as 4 weeks into my 20 week program. 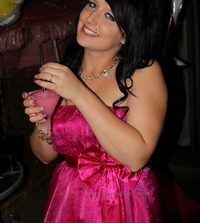 I'm a happier & more energetic version of myself and cannot wait to see what the future brings! Thank you so much Team Living Beauty.